Dishwashing liquid is a staple of modern households, but its usefulness is by no means limited to the monotonous task of cleaning your crockery. 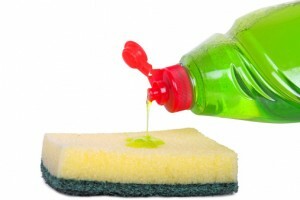 There are a number of fun or fascinating uses for the grease-banishing properties of dishwashing liquid. Read on to find out! 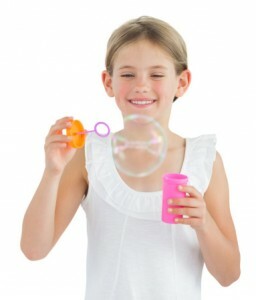 This is one that many people remember from when they were kids: adding too much dishwashing liquid to the washing-up water produces a big, foamy mess of bubbles, and mixing the two in a container can give you a great solution for kids (or adults!) who love bubble-blowing. Dishwashing liquid lets bubbles form by creating a film of water surrounded by two layers of soap molecules – these two layers repel each other and prevent the liquid from collapsing, which lets it form a bubble when you blow air into it. According to Scientific American, the best bubble recipe involves adding some glycerine and a small amount of sugar to your soapy water to slow down the evaporation – which gives you stronger, longer lasting bubbles. Whilst this is something you will probably never use yourself – and shouldn’t try at home without advice – the oil-removing properties of dishwashing liquid are used for a much more noble purpose following oil spills, most notably the Deepwater Horizon oil spill back in 2010. Volunteers (mainly from International Bird Rescue) use water with a mild concentration of detergent to gently clean countless birds and other animals that have been coated in oil – which impairs their ability to fly, eat and function normally. The birds are then rinsed, dried and fed before being introduced to a warm water pool where they can groom themselves and restore their natural waterproofing layer of feathers; once deemed completely healthy, they’re released back into the wild. It seems even the most innocuous of household products can have some very useful effects! 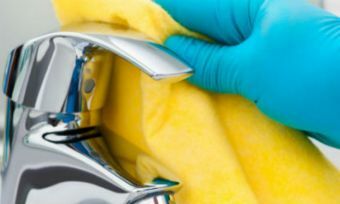 For more dishwashing and cleaning-related goodness, as well as which brands have Australia’s most satisfied customers, check out our star ratings.